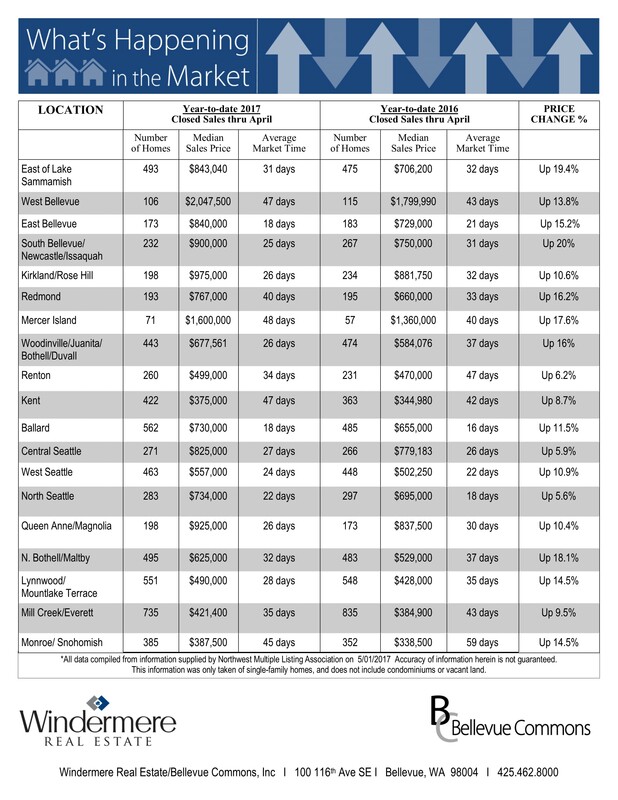 Closed median price at an all-time high of $736,500, up 20% from a year ago. Price appreciation is being driven by low supply and high demand. Eastside month’s supply of inventory is less than three weeks (0.7 months), the lowest ever. 737 active listings as of 3/31/17. Down 21% from last year and 42% from the year before. Scarcity has buyers paying above list price on 61% of the sales that closed in March. What was the cost of waiting on year (March 2016 vs March 2017) to buy? 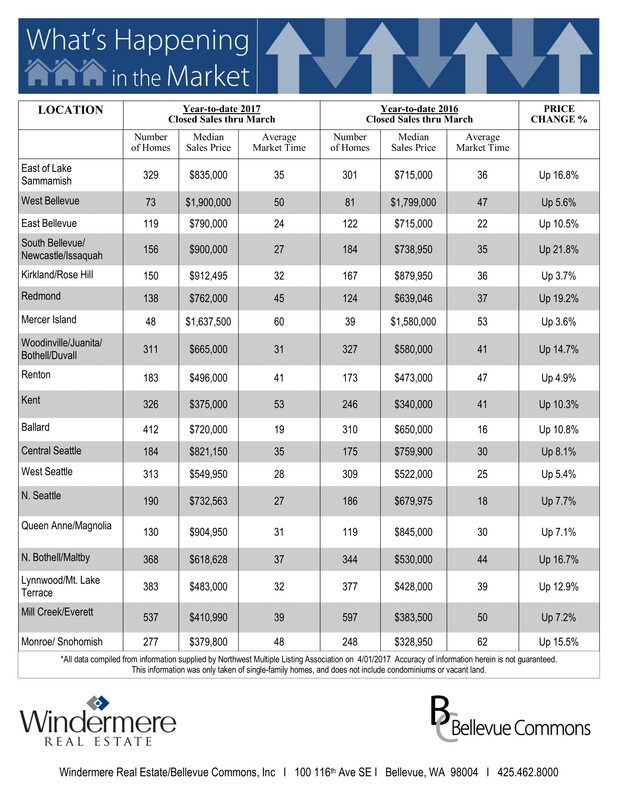 $120,400 more in median price. Interest rates up .51%. $769 a month more for the same home.